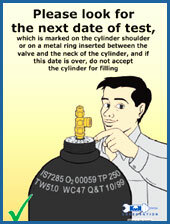 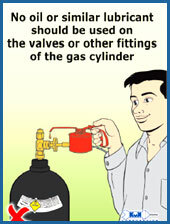 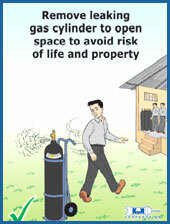 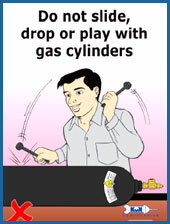 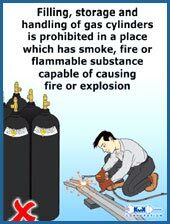 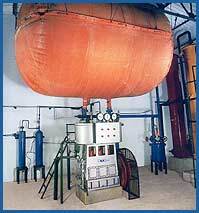 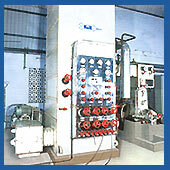 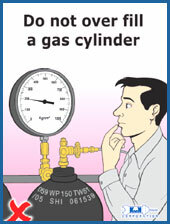 Pre laminated set of high pressure cylinder safety posters based on gas cylinder rules 2004. 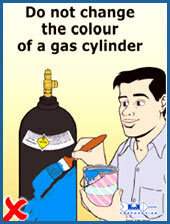 Step 1: Deposit 100% payment in our multicity account of "capron agencies", account no 50323050000057 with syndicate bank, marol branch, send us the original bank deposit slip, language in which you want the cylinders safety posters and your complete postal address where you wish to receive the same. 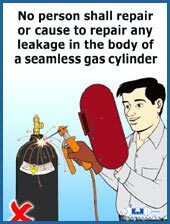 Step 2: Send us a bank draft drawn in favour of "capron agencies" payable at mumbai for the aggregate value along with your complete postal address where you need the cylinder safety posters to be delivered and the language in which you need the same.